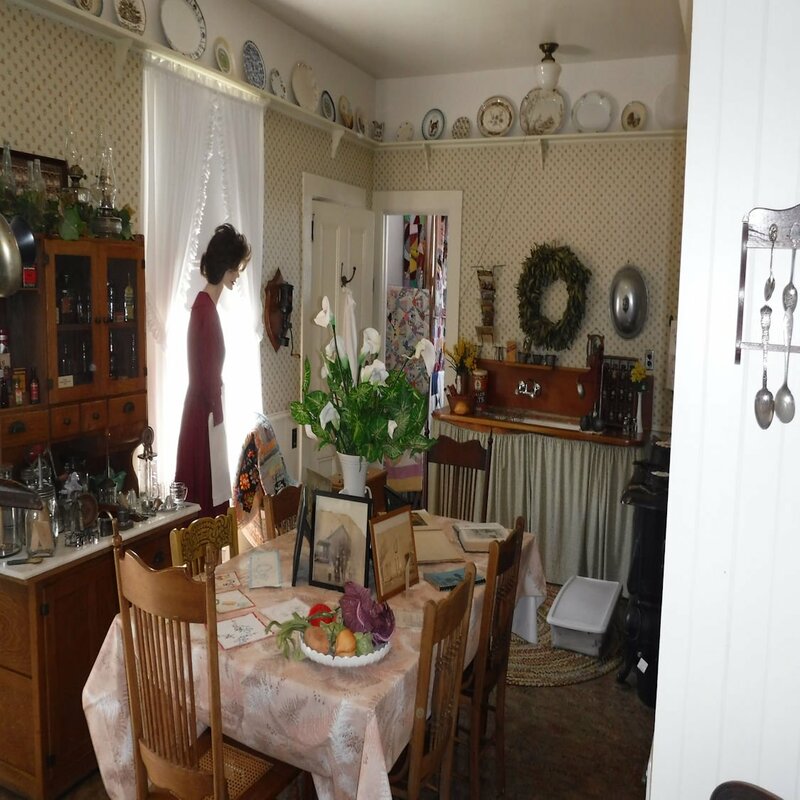 The Fabing-McKay-Spanne House, located at 207 North L Street in Lompoc, is the headquarters for the Lompoc Valley Historical Society. 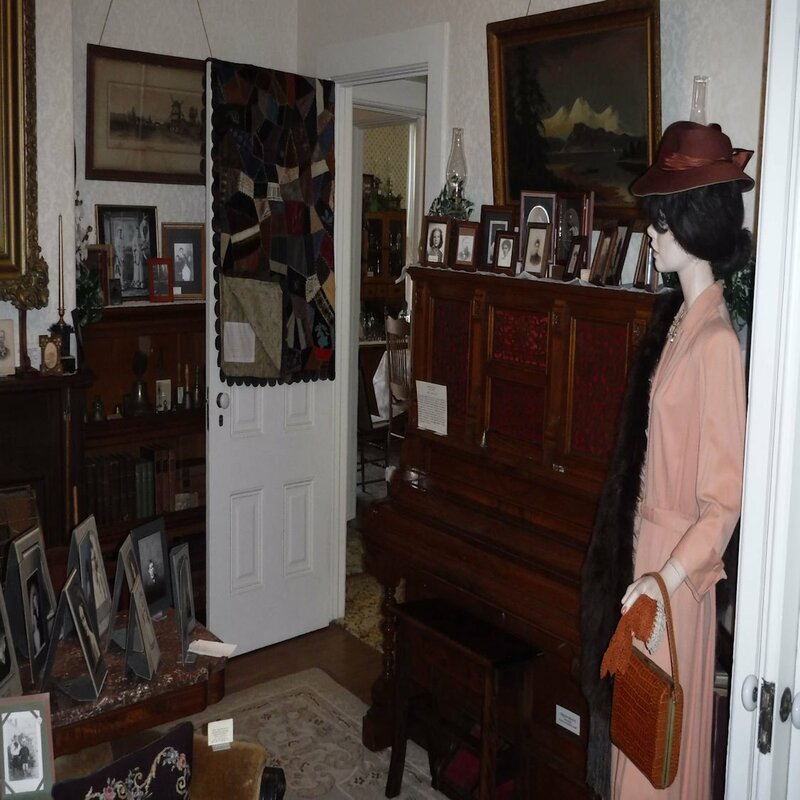 The home is fully furnished in the style of the early 1900's. 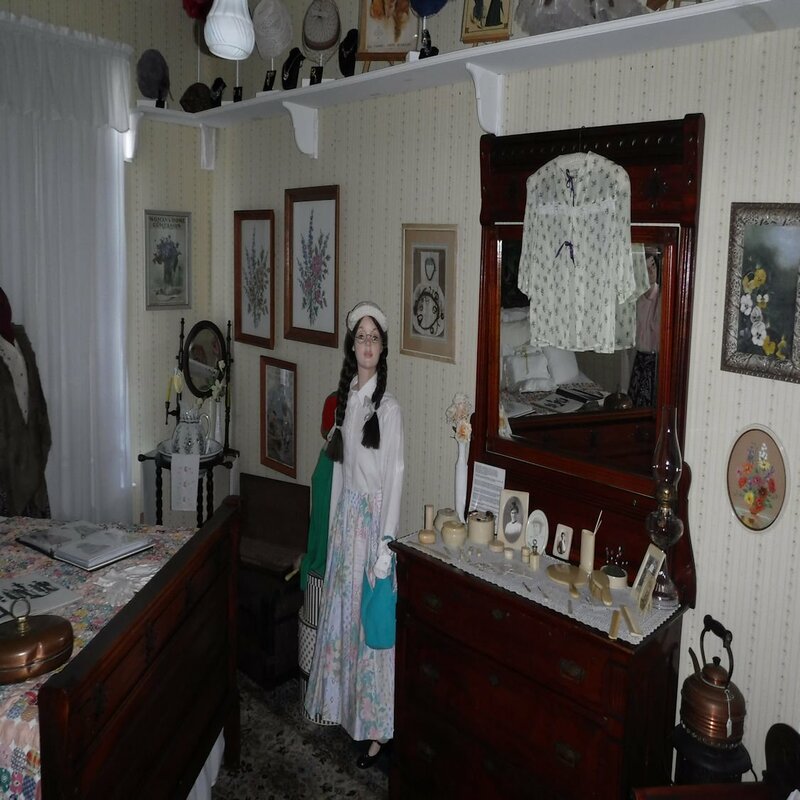 Entering the home is like taking a step back in time. 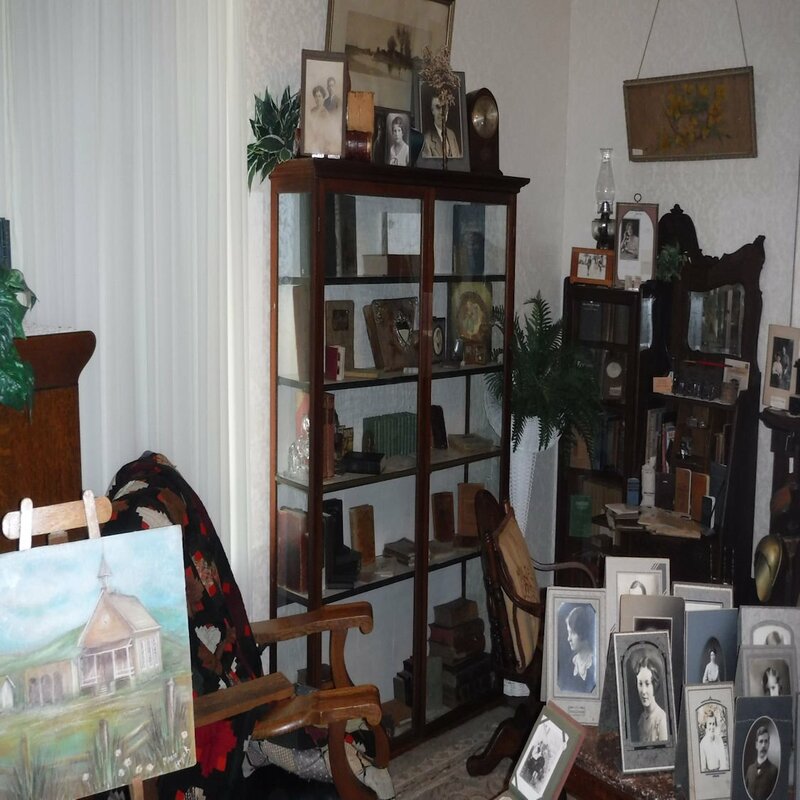 Most furnishings have been donated over the years by local families who wished their belongings to be kept and preserved in an attractive safe atmosphere. Only a few pieces of furniture are original to the house. The Second Parlor featured a small fireplace - the only source of heat in the house, except for the wood stove in the kitchen. This room and the kitchen is where the family would spend most of their time. Bookshelves filled with period literature, as well as a player Aeolian Pump Organ are featured in this room. Music and reading were favorite past times of the Victorian family. 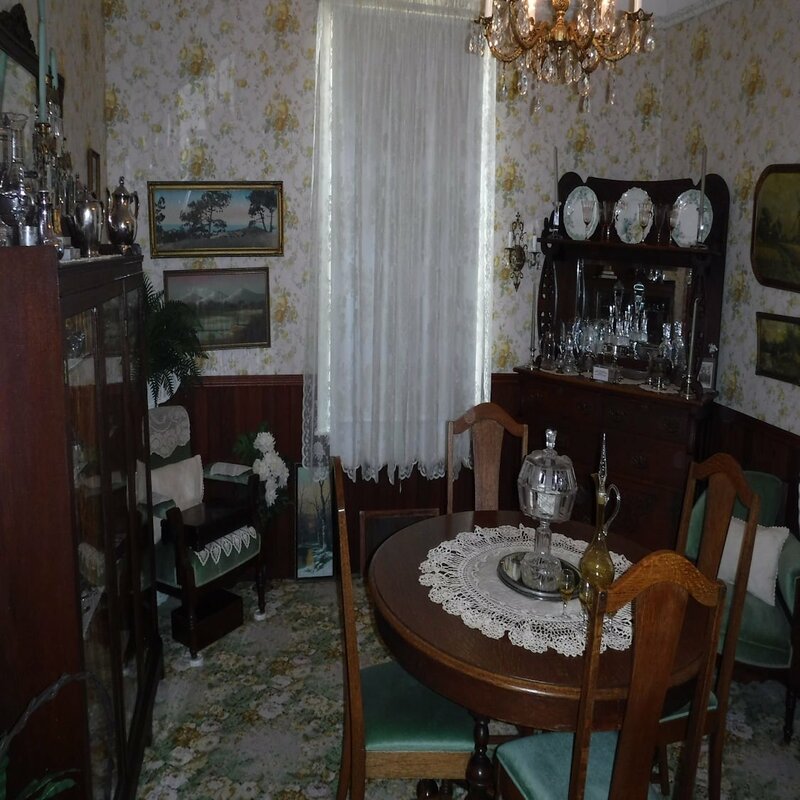 The Dining Room was another room reserved exclusively for special occasions. 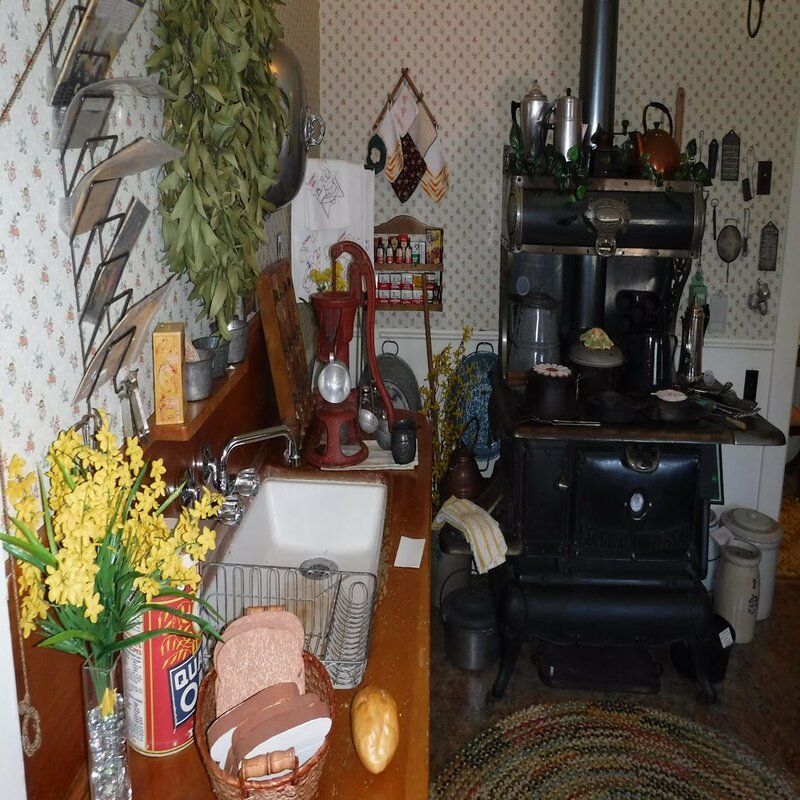 Everyday meals were eaten in the large kitchen. The table is set for a formal dinner. Silver, china and crystal pieces are displayed in the dining room cabinets. The Kitchen was the nerve center of the home. This is where the lady of the house spent the majority of her time - cooking, doing laundry, ironing and bathing the kids in a small zinc bathtub, filled with water heated on the wood stove. The kitchen features a pass through to the dining room, where food could be conveniently placed, to avoid walking around the corner into the dining room with hot serving plates. 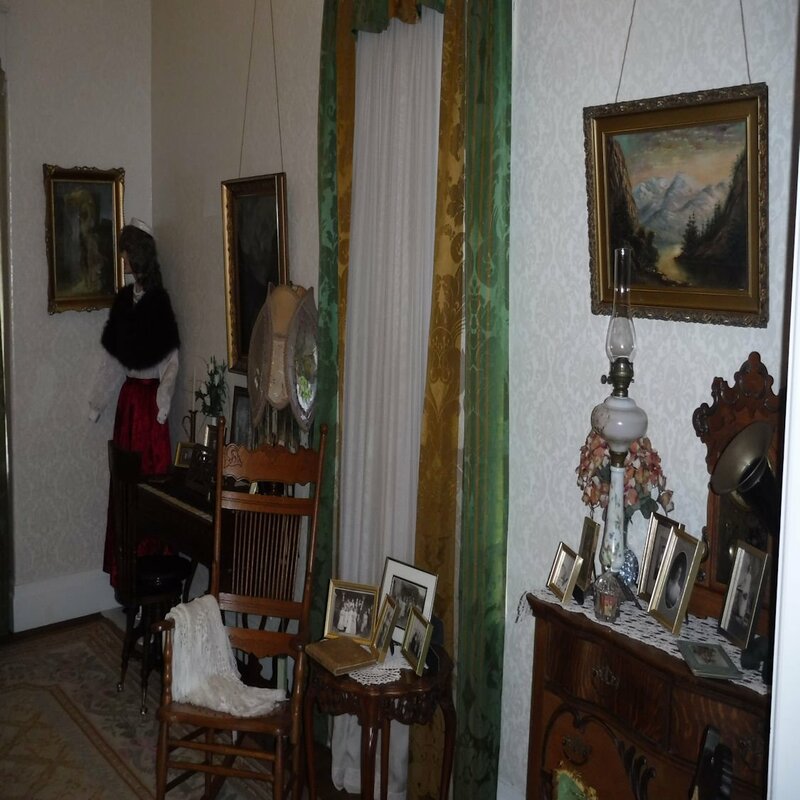 The 1875 home had no electricity or indoor plumbing. 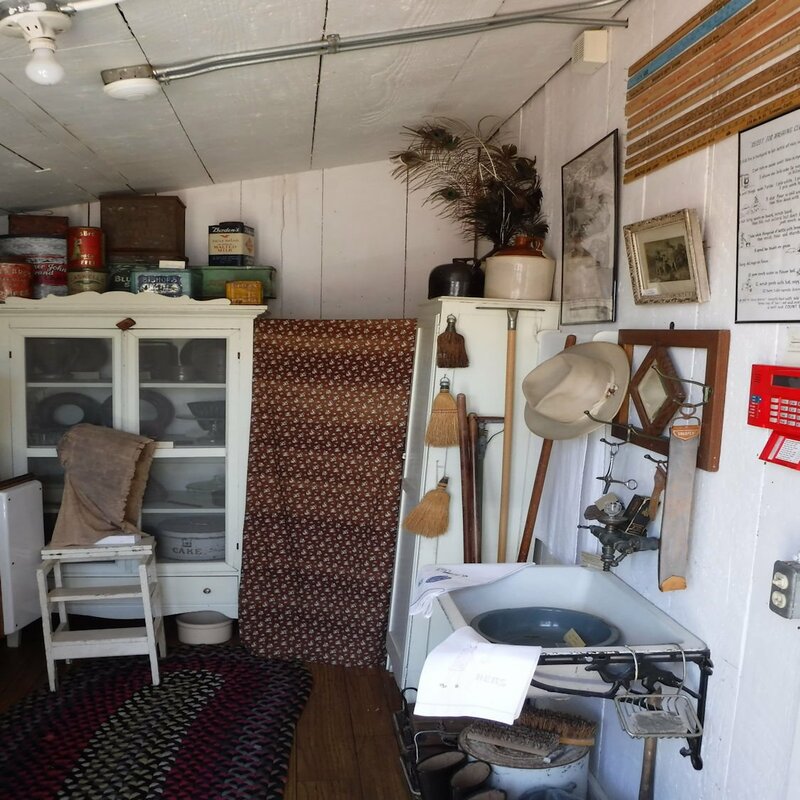 The Pantry, which was also a screen porch provided a cool environment in which to place an icebox and pie safe. 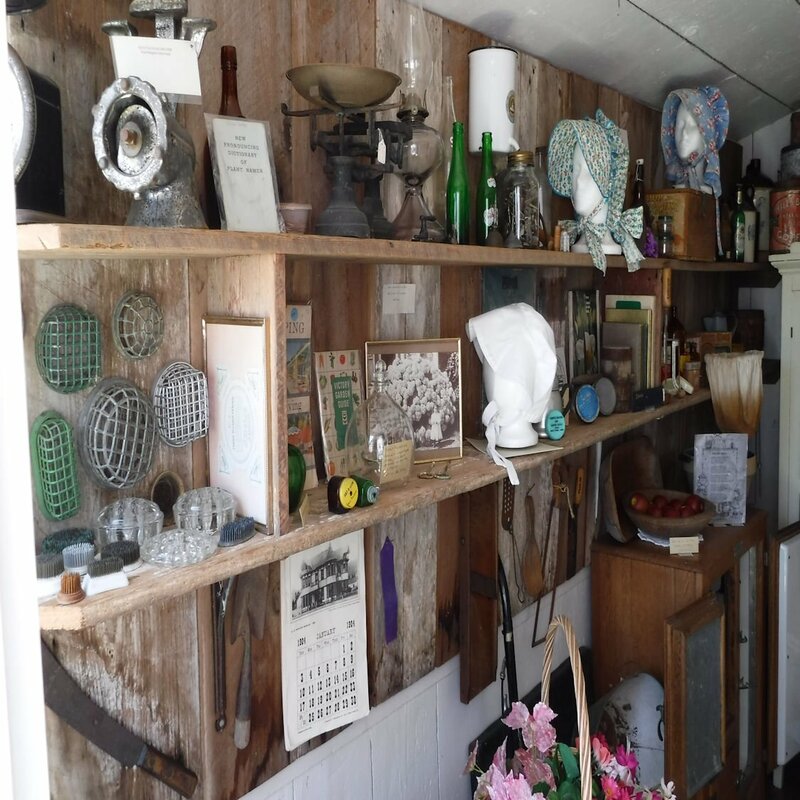 The Pantry also served as a back porch to store household items and provide a place to clean up before entering the house. In the eastern United States, this would be considered a "mud room." 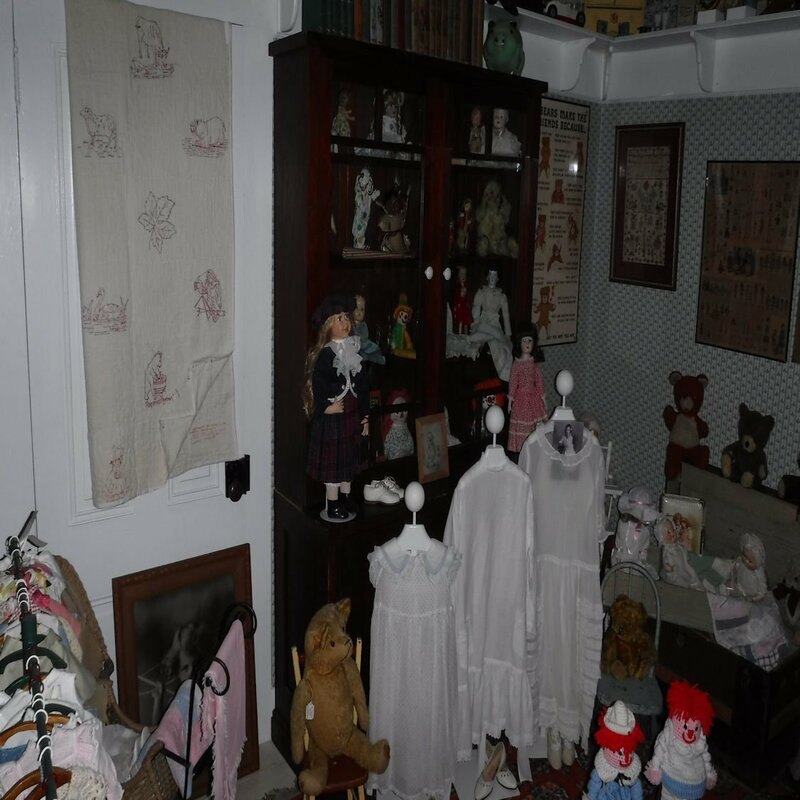 The children's nursery is located directly across the hall from the kitchen, where the lady of the house spent most of her time. The master bedroom is adjacent to the nursery, so baby was not far away from the parents at any time. 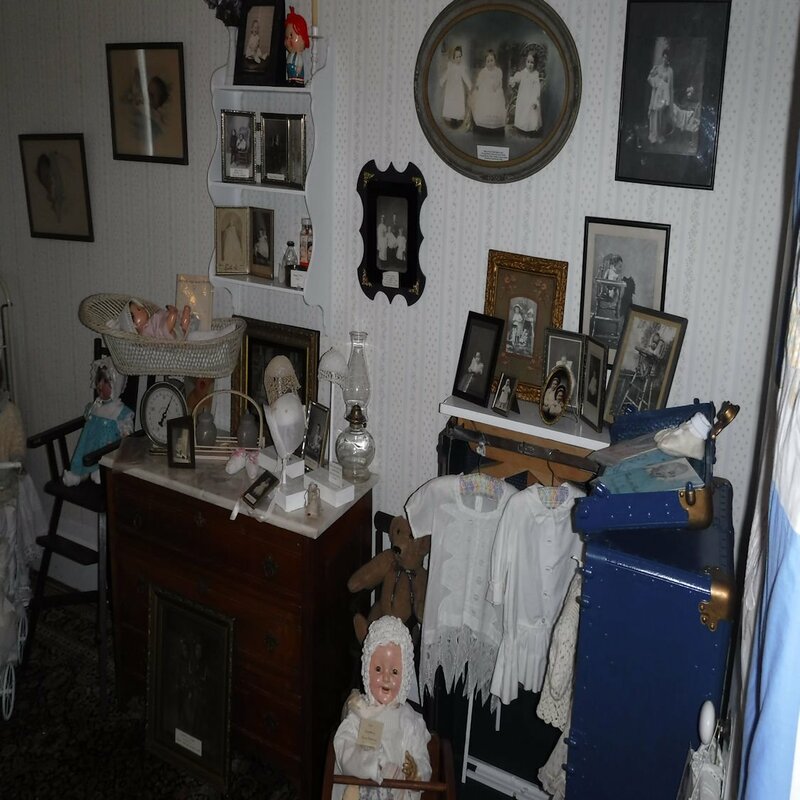 The nursery includes the typical accessories necessary to care for a baby in Victorian times including a scale, crib, baby carriage and a closet full of baby clothes and christening gowns. 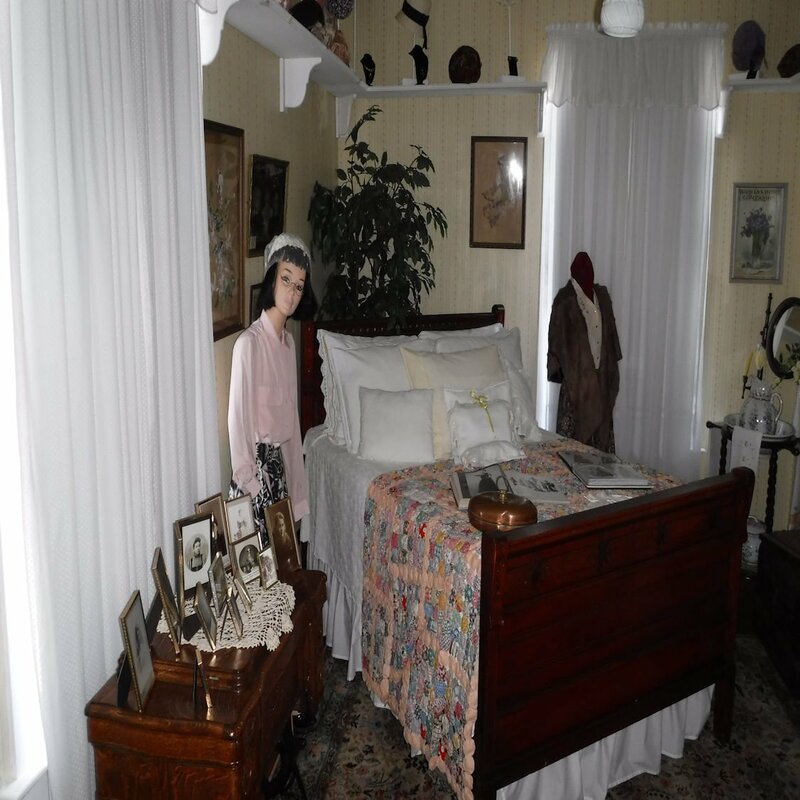 The Spanne Bedroom features some of the furniture that is original to the house. 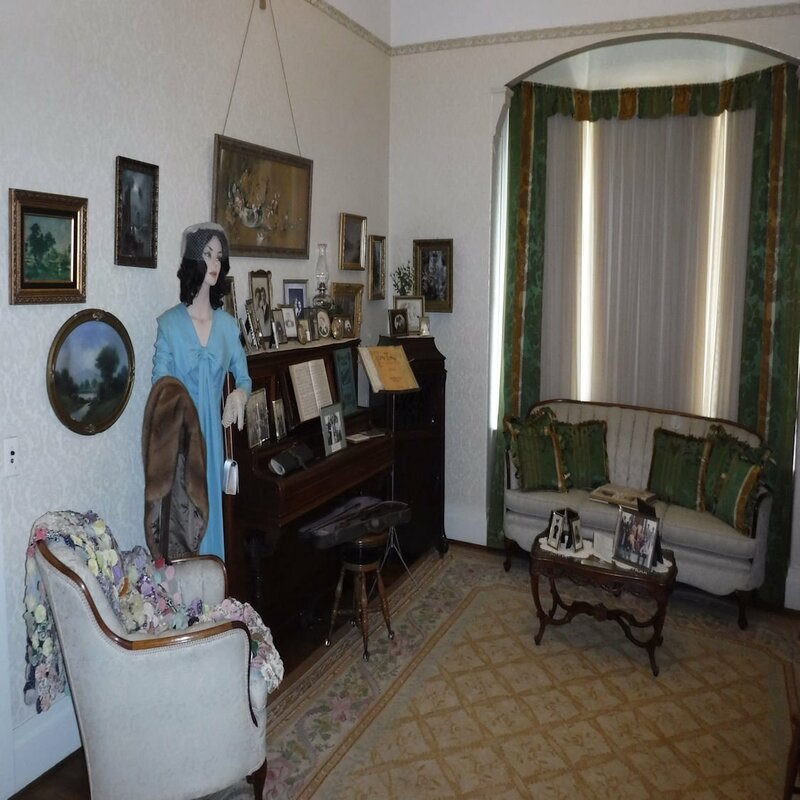 It is believed that the bedroom suite was brought into the house by the Fabings and was passed down with the house through the subsequent two owners. 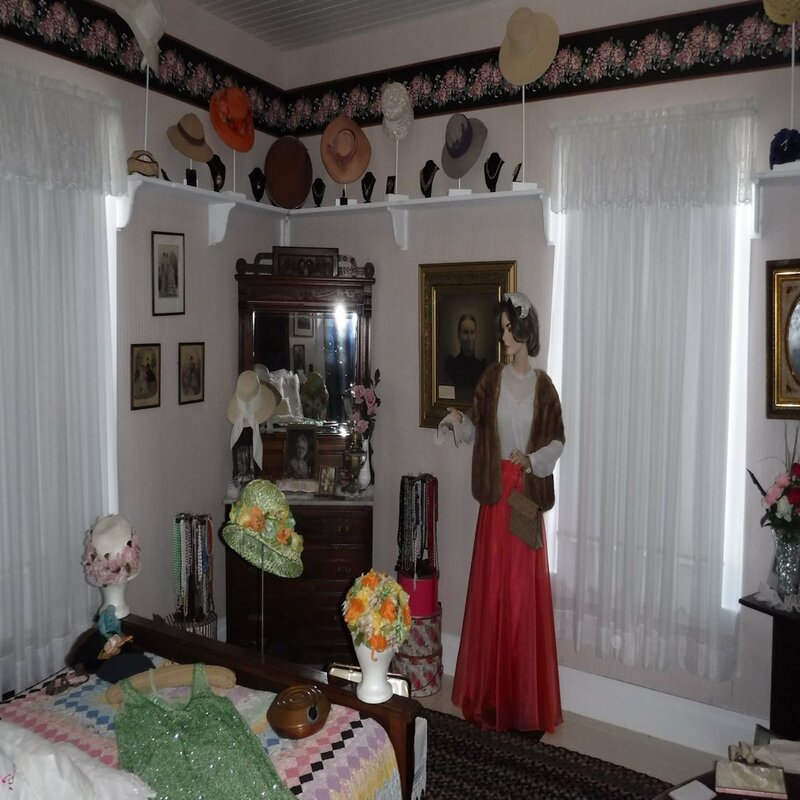 This was the Fabing's master bedroom when the house was built, since the upstairs was left unfinished. 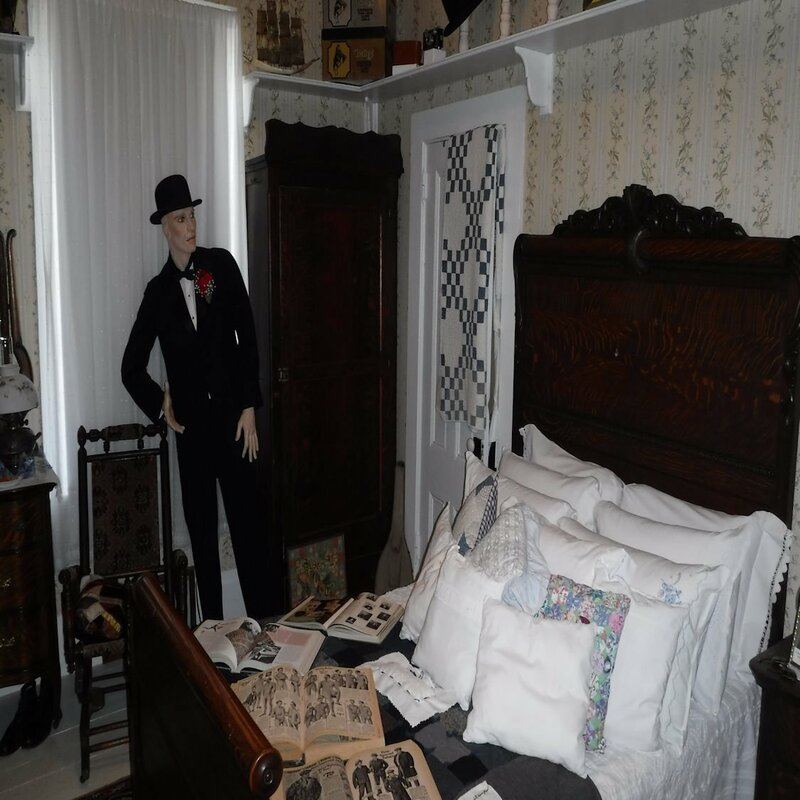 When the McKays purchased the house, the upstairs was finished and the large upstairs bedroom became the master bedroom. 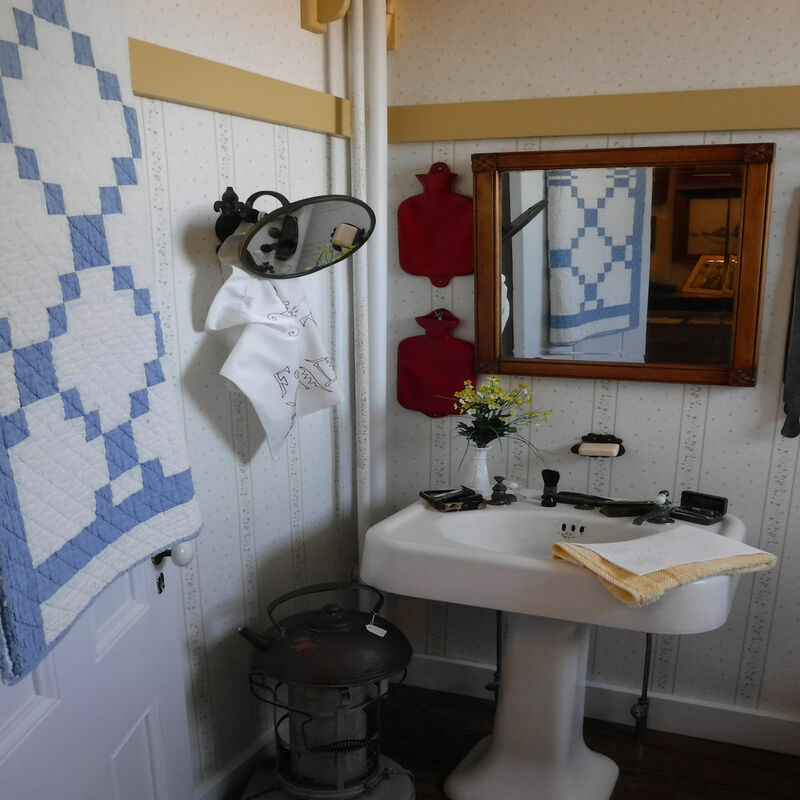 The original house had no indoor facilities, so this turn of the century bathroom was carved out of another bedroom. 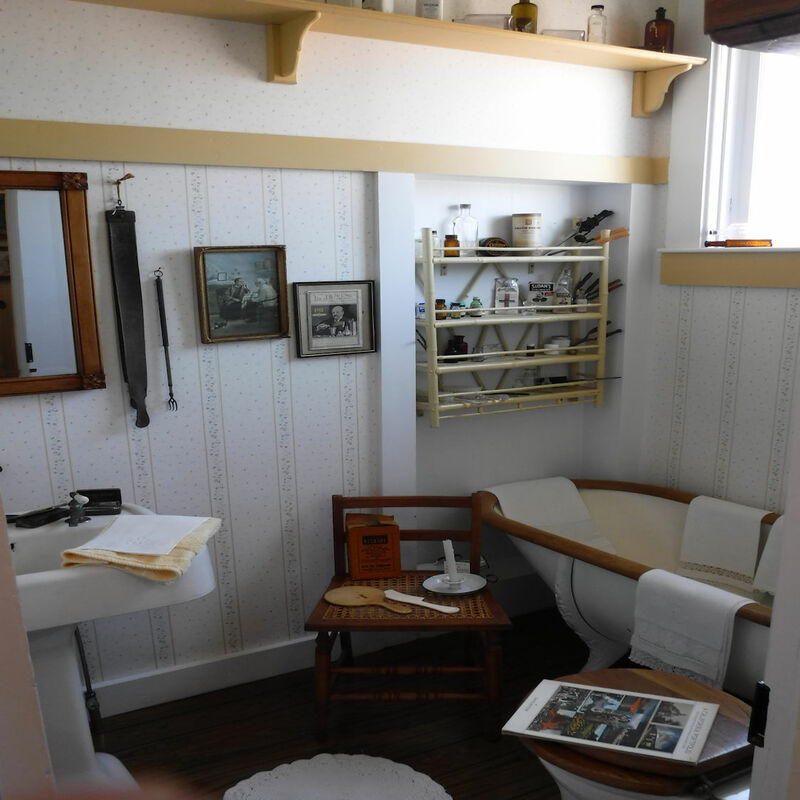 The oak trimmed zinc clawfoot tub and gravity fed toilet were installed by the Historical Society to recreate the feel of a true Victorian bathroom. Prior to the installation of indoor plumbing, the family used the time honored outhouse. This large bedroom, with an adjoining dressing area, is furnished with a bedroom set from the H.S. Rudolph mansion, which was razed in 1960. The mansion was one of Lompoc's most elegant Victorian residences, featuring the usual gingerbread, stained glass and turrets typical of the "Queen Anne" style. Be sure to look for the "chamber pot," a necessity in homes before indoor plumbing! The adjoining dressing room now exhibits sewing machines and supplies as well as an armoire filled with fashions of the period. 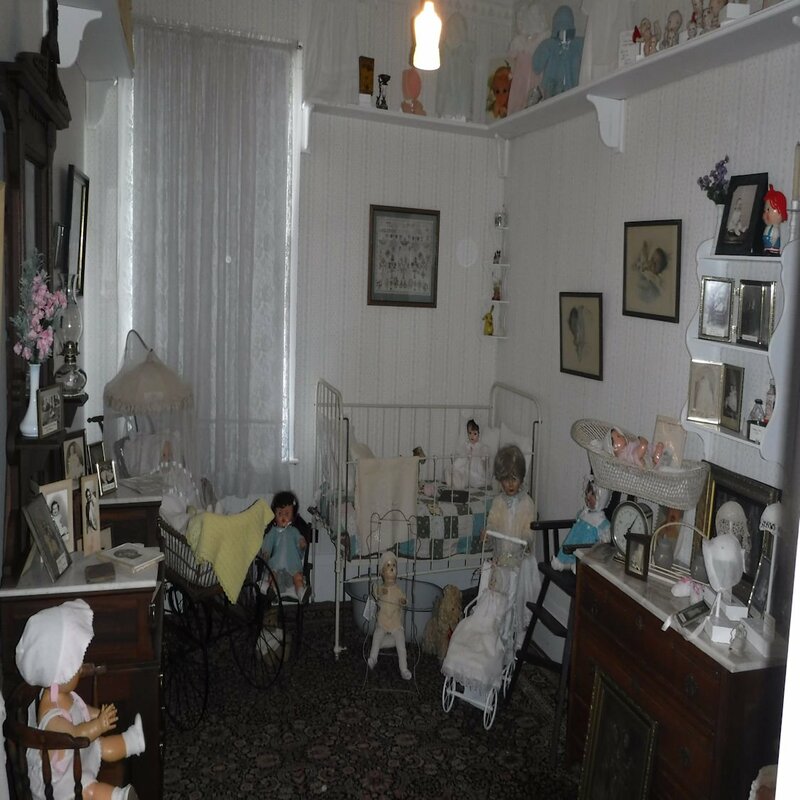 This room is filled with toys, dolls and books of the period, designed to provide hours of enjoyment for the Victorian child who did not have television, radios, stereos or computers that occupy a prominent place in today's households. This cheery room features the typical washstand, complete with bowl and pitcher, as well as a complete vanity set for hair and nail care. 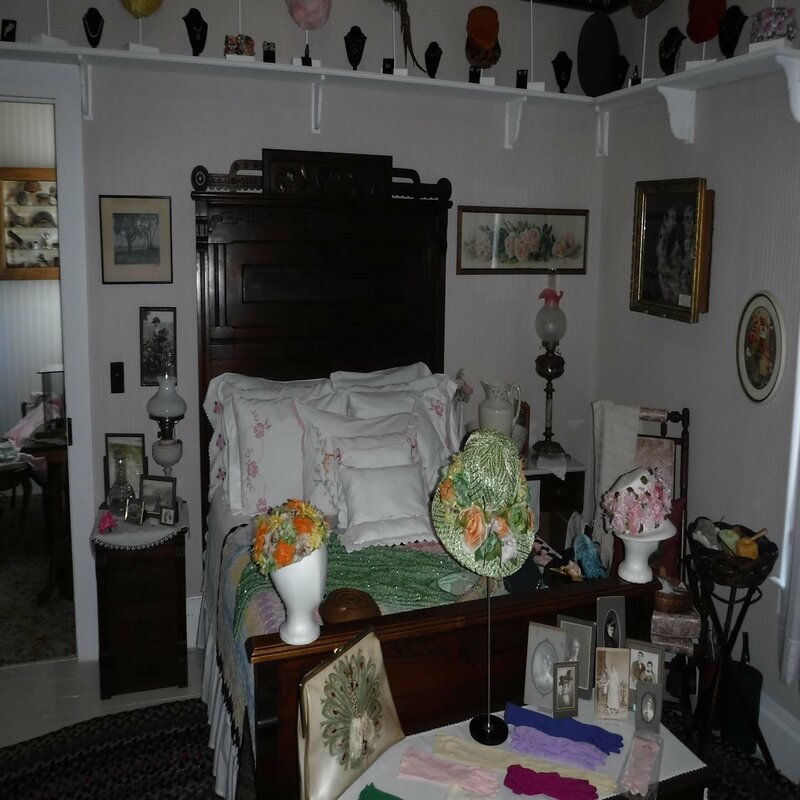 Visitors often note the "hair receiver" on the dresser, which was a receptacle for hair cleaned from the girls' hairbrushes. 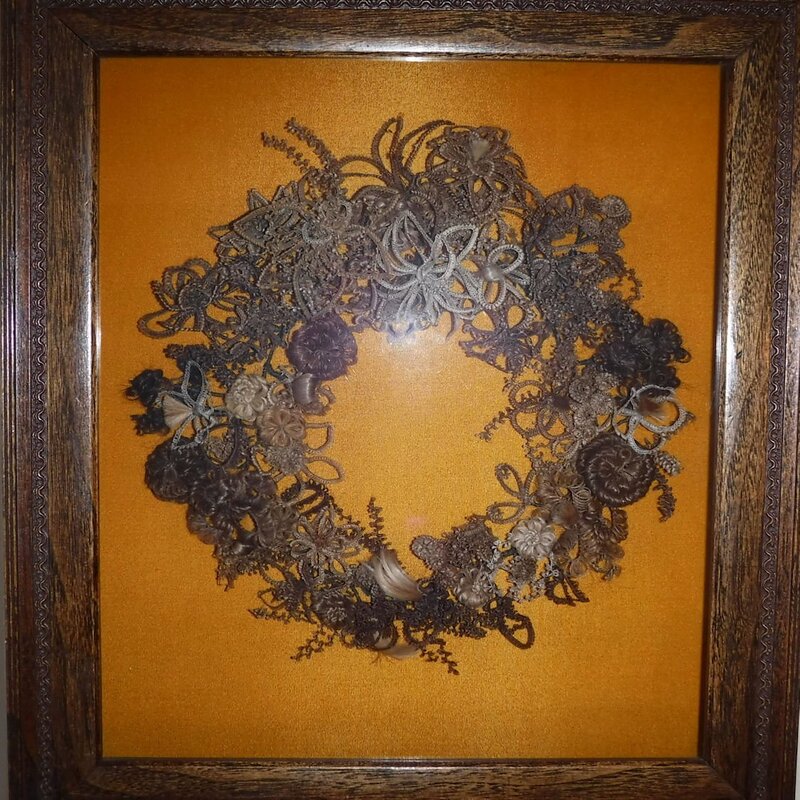 In the upstairs hallway is a wreath and jewelry made from human hair. 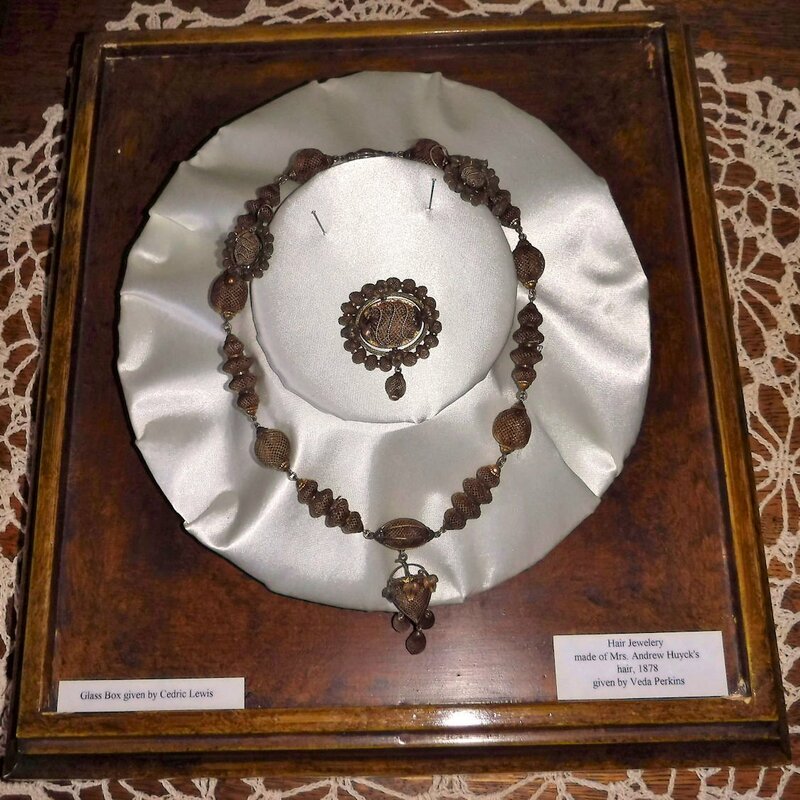 The fine workmanship (which resembles tatting) in these items demonstrates the skills of the Victorian ladies who fashioned these items. Often, hair wreaths were fashioned from the hair of family members. Many times, as a family member died, locks of hair were cut from the deceased to add to the family heirloom as a remembrance. The home, as originally built, featured a cupola atop the structure. This allowed Mr. Fabing to survey the entire valley. 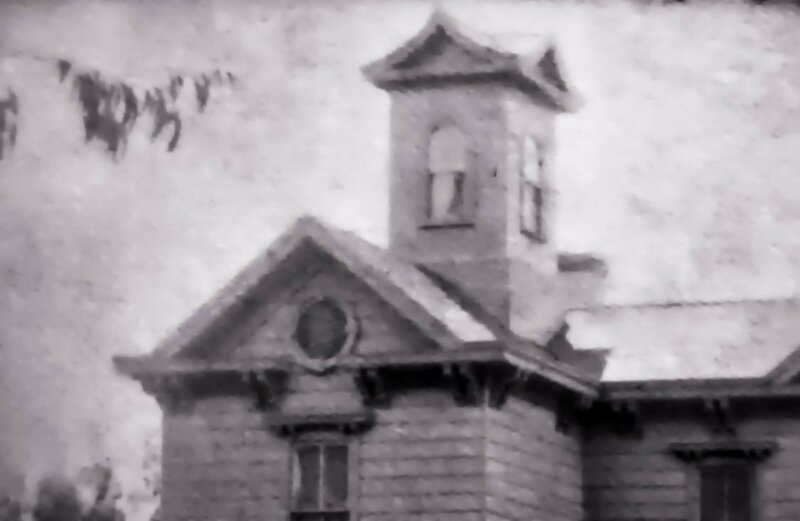 He was not only a blacksmith, but also a volunteer fireman, so the cupola was very important as a fire lookout. 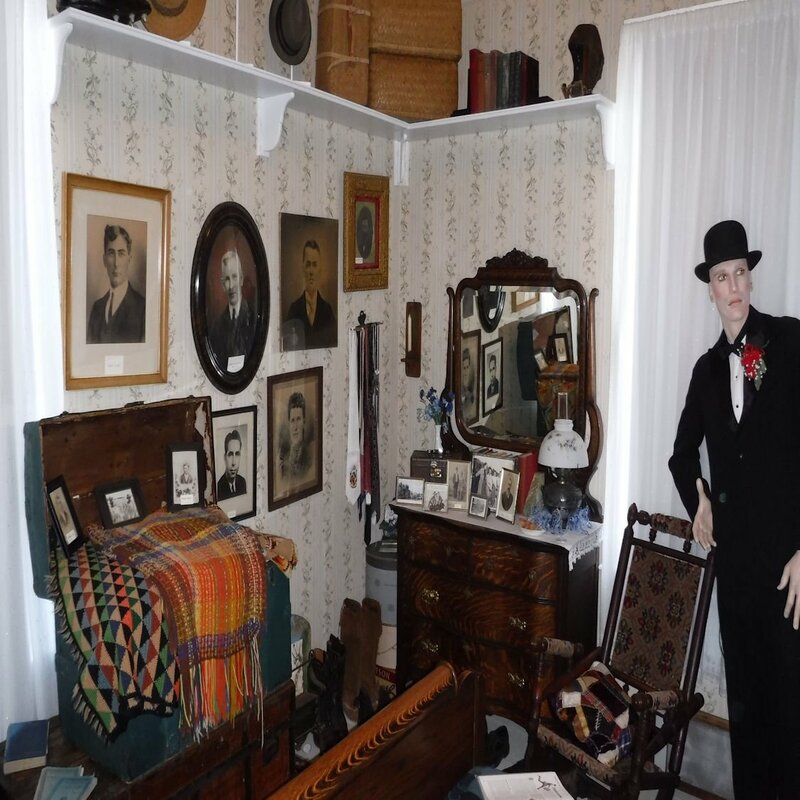 Our Adopt-A-Room program has been embraced by members and friends of the Historical Society. 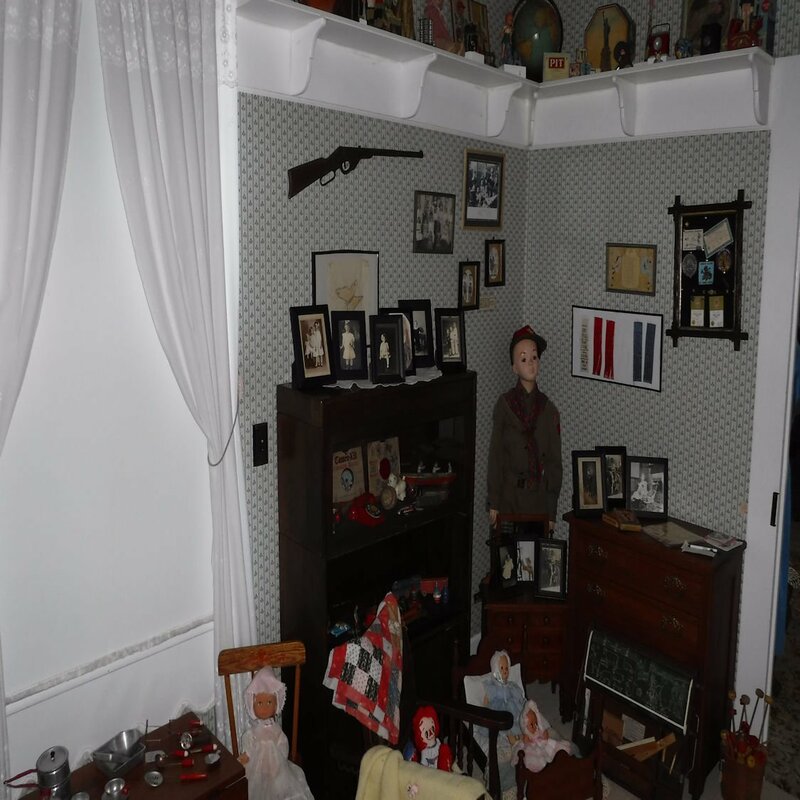 Those who adopt a room are responsible for their upkeep, which includes light cleaning and changing of displays and artifacts. While many of the rooms have been adopted, there are still opportunities for YOU to participate. Please contact us if you have a few hours a month to share with us. It's an opportunity to handle a piece of history!